CHECHESMITHNATION : My Amvca Best Dressed List...Yes Or Nah! 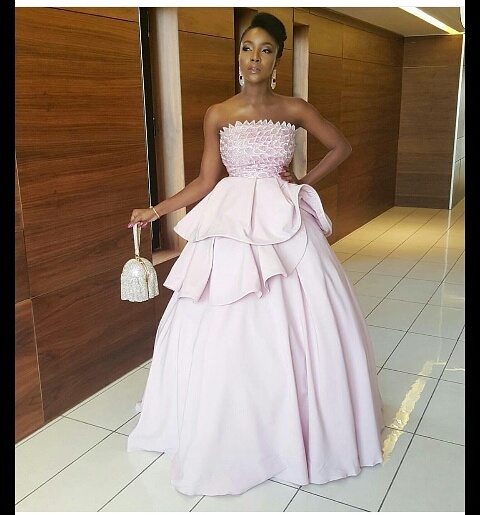 Inidima Okojie glowed rocking this pink layered number by Fab Lane by Derin. Ufuoma Mc Dermott was a true diva last night. She slayed rocking this fabulous blue number that featured a Strapy hand by Designer Lakanu Label. 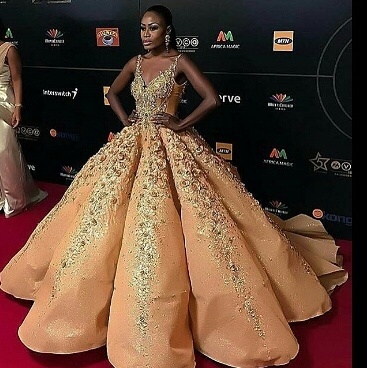 Ghanaian actress, Nana Akua Addo came to conquer in this gorgeous princess gown. She was a true stunner in this cream colored ball gown by Philippino designer Leo Almodal.